At Crown of Thorns this year we have put together an Advent project to restore the true meaning of Advent in the hearts of children. The Advent Calendar has been compiled by our volunteers, including two primary school children aged seven and five. There has been a wonderful enthusiasm for the project and school response has been great. We are hoping to get feedback from teachers from their class so we can work on this project further for next year. We would be delighted for this calendar to be offered to schools, so teachers could print it off and use it with their classes. 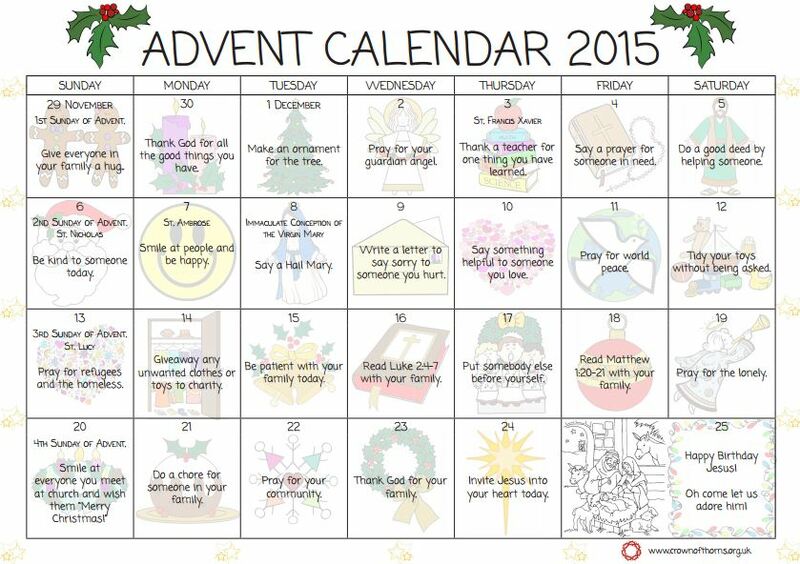 We would also be very pleased to see priests use the calendar in their parishes. With grateful thanks, and a very happy Advent. 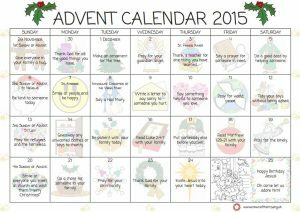 Our Advent Calendar is available for download on the link below. ← Putting Christ back into Christmas.